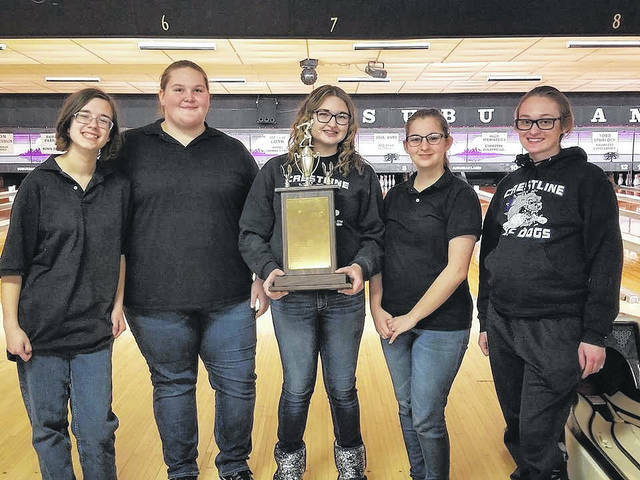 BUCYRUS — From Monday, February 5 through Wednesday, February 7, Suburban Lanes in Bucyrus was filled with bowlers from high schools all over Crawford County, competing for All-County High School Bowling Tournament Honors. 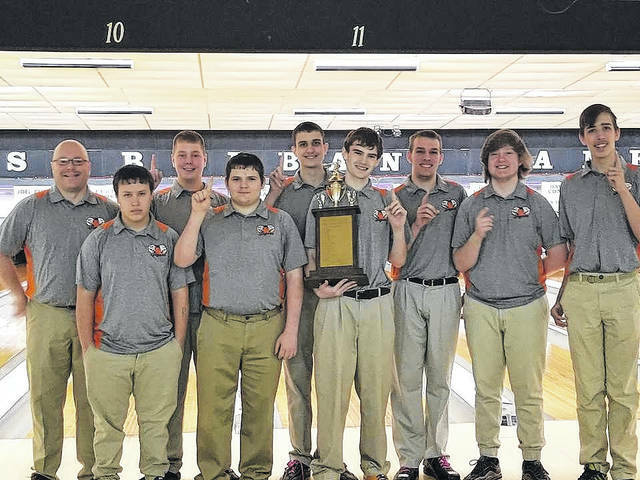 Teams from Galion, Crestline, Colonel Crawford, Buckeye Central, Wynford and Bucyrus were all on the lanes hoping to take home the hardware this season. On the boys side, the tourney began on Monday when Buckeye Central was fitted against Crawford, Galion against Crestline and Bucyrus against Wynford. Crawford would narrowly escape the Bucks by a final of 2,879-2,835 to advance to the second round. The Tigers would triumph over the Bulldogs; 3,190-3,037 and the Royals defeated the Redmen; 3,117-2,984. Bucyrus was the champions in the 2017 edition of the tournament. Round two consisted of the Eagles against the Tigers on Tuesday, February 6. Galion would defeat Crawford by 200+ pins, 3,053-2,835 to advance to the championship match against Wynford, who received a second-round bye. The two teams met up for the trophy on Wednesday, February 7. The Royals would hold the lead until late in their matchup and it would be the Galion Tigers roaring back from 60+ down to defeat Wynford and win the title; 3,144-3,126. For the ladies from Crawford County, the format would be slightly different to determine the champions. Galion and Buckeye Central would meet on Monday to compete in a play-in game of sorts to determine who would advance to Tuesday’s action. The Lady Tigers would respond well, defeating the Buckettes by a final of 2,898-2,818. In the second round, the Lady Tigers would meet up with the Wynford Lady Royals squad. Galion would emerge victorious; 3,070-2,939 and advance to Wednesday’s championship game. Their opponent would be the Crestline Lady Bulldogs. Crestline defeated Bucyrus on Tuesday to move on; 3,110-2,909. The matchup between the Lady ‘Dogs and the Lady Tigers would prove to remain too close for comfort and in the end, it would be the girls from Crestline taking home the All-County hardware by defeating Galion by just 24 pins; 2,972-2,948.